In late 2008, a spaceship from the land of Oz touched down. On board were pilgrims from Pepperland – children of Bowie, Prince, and LeBon, conceived in a sentient crystal matrix. They came to show us the colors and sensations that we’d forgotten in the coldness of our socially-networked solemnity. The jeweled lotus that had shriveled within our collective consciousness once again sprang to life with the fire of a stone cut by space-angels. By winter of 2009 their sonic petals had drifted to the British Isles and by spring they’d made landfall in America. Suddenly it was summer all over the world. Empire of the Sun has returned art pop to a glistening wilderness of adventure. The summer of 2009 was theirs and the whole planet was dancing and falling in love to its technicolor soundscape. Empire’s debut album, Walking on a Dream, took the world by storm… on the iPod of a 16-year-old art student in Edinburgh, echoing from the outdoor speakers of an Italian gas station… every field of sunflowers swayed to their beautiful melodies. It’s been ages since an act wielded synthpop, glam, and dance music so aptly, but Empire of the Sun isnt looking to the past. Just as its musical progenitors once did, they look to the future. 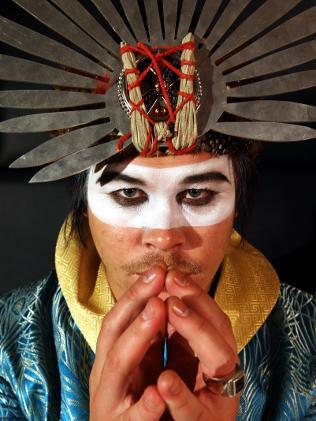 Led by Luke Steele of alt rock band, The Sleepy Jackson, the Australian sensation has garnered seven ARIA Awards including Album of the Year, Single of the Year, Best Group, and Best Pop Release. Commercially, Walking on a Dream is a gem, hitting double-platinum in Australia, while striking gold in the UK. 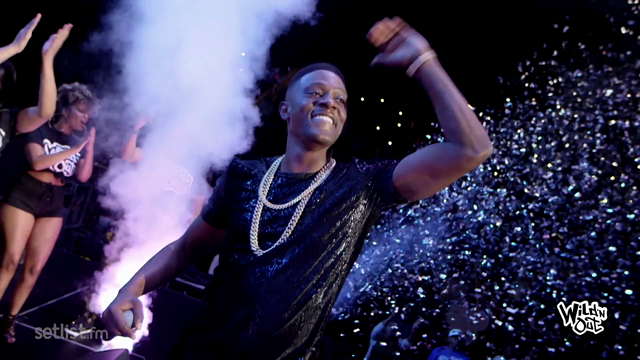 Overseas, however, they’ve managed to bullet the charts and call attention from the likes of Jay-Z, who had Steele guest on his latest effort, The Blueprint 3. It’s no secret that the group’s powerful debut strikes the right chord in just about everyone — but no consequence is without reason. Walking on a Dream celebrates youth, adventure, and exuberant human happiness. The titular track champions simple, earthly pleasures – we are always running for the thrill of it… always pushing up the hill searching for the thrill of it. The instrumental track Country is one of the most beautiful daydreams you could ever wish to have, a shifting watercolor landscape of synths running wild with acoustic guitars making for adolescent adventures. But there’s plenty of other moods to Empire of the Sun, such as Swordfish Hotkiss Night, a dark tribal ritual interpreted by Talking Heads-inspired chiptune hip-hop, the electro-thrasher b-side, Breakdown, the hallucinatory Delta Bay, or the moody romance ballad, Without You, perfect for sitting alone in your smokey apartment in Los Angeles, 2019. Visually, Empire draws from the costumed magicians who’ve come before them, those who are not content to be merely musicians, but performers. Perhaps you’ve seen them dancing with swordfish girls or strange geometric minions on the YouTube. Much like Duran Duran, Empire of the Sun has filmed music videos in exotic locations all over the world, but its sophistication and style is its own entirely. Borrowing from the exaggerated headgear and pomp of ancient empires for a look that’s more other-dimensional than other-worldly. The group’s theatricality is more than exciting costumes and danceable pop singles – during the longest solar eclipse for the next thousand plus years they streamed a video soundtrack to commemorate the momentous occasion. On stage, Empire of the Sun creates a visual spectacle that elevates the album’s lush sounds and massive energy to a whole other level. A full band and costumed dancing girls are only the tip of the iceberg, and who knows what they have in store for their first North American audiences. So, put on your best dancing kicks, some killer shades, and prepare thyself  Empire of the Sun is about to rise on the New World.